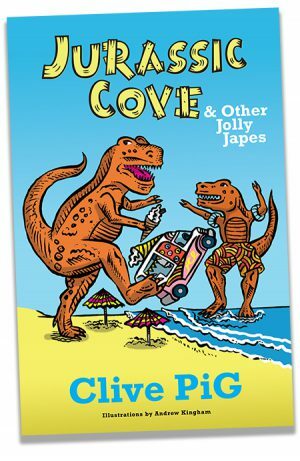 View basket “Jurassic Cove & Other Jolly Japes” has been added to your basket. 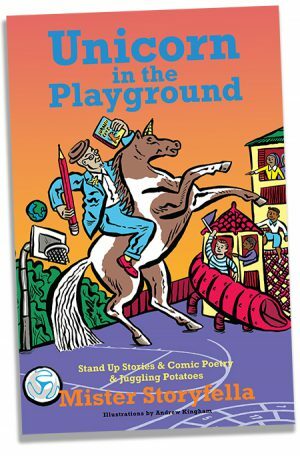 Unicorn In The Playground is a compendium of Clive’s (aka Mister Storyfella) choicest cuts: some to be spoken, sung or shouted; some to be read curled up in bed. In this rollercoaster paperback book of fabulous illustrations you’ll find your emotions shaken and stirred. Gasp in wonder at the tale of Colin The Chocolate Kid and find out what happens when a boy wakes up to find he’s turned into chocolate. 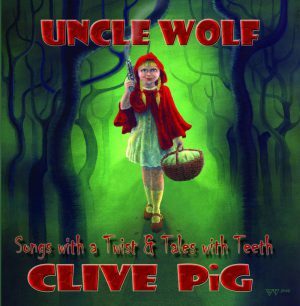 Laugh out loud at the antics of the Angry Dormouse. Shed a sympathetic tear during Suzanne Loved A Snowman. Unicorn In The Playground appeals to 11 – 5 year olds and some even older and many who are younger.